Already 5th year in a row, the Slovenian Tourist Board in collaboration with the Slovenian Forest Service and Hiking and Biking Economic Interest Group under the pan-Slovenian campaign “My country – beautiful and hospitable” awarded the best thematic roads in Slovenia. Among 14 nominated regional favourites, the best award was given to route “Strunjan – images of the sea”. The evaluation criteria in competition were the impression of attractiveness, management, maintenance, facilities, accessibility, safety, message and the presentation of individual trail. 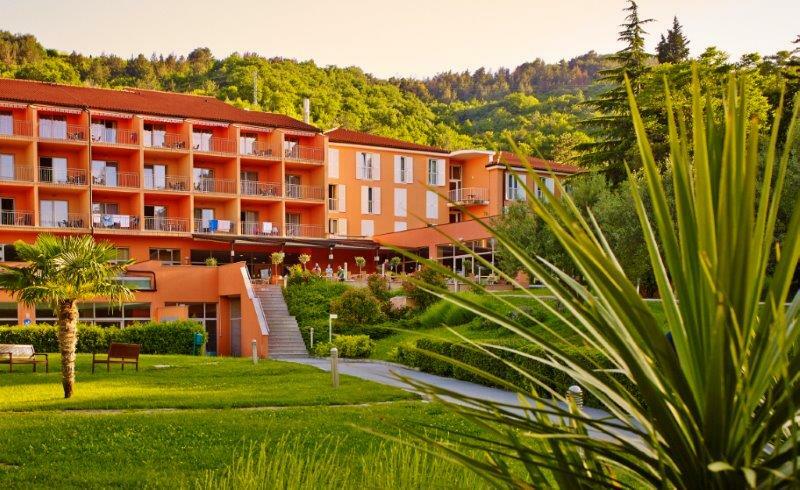 Company Bernardin Group that operates 1,184 hotel rooms in the most attractive part of the Slovenian coast is a proud sponsor of the route “Strunjan – images of the sea”, and this comes as no surprise since one of its hotels, Bioenergy resort Salinera, is located precisely at the step of the trail. In all its beauty, located in between coastal towns of Izola and Portorož, near Regional Park Strunjan, the location is a true gem, since it offers an excellent starting point to Strunjan thematic route and satisfaction for those who appreciate the natural beauties, peacefulness and natural environment with mild Mediterranean climate. Thematic circular route “Strunjan – images of the sea” is equipped with a comprehensive system information tables with benches and bus stops. All together the 5,5 kilometres long route offers 15 stations and 4 entry points with 10 stations offering also benches made of sandstone and the route takes about an hour and a half. The scenic route reveals all secrets that visitors can learn about this unique yet preserved part of the Slovenian coast and it presents all the main natural and cultural heritage sites which are directly linked to the sea. The main themes of the route are images of the sea and one of the best features of the route are exceptional viewpoints – in some parts of the route the view extends all the way from the Gulf of Trieste to Julian Alps.